For many people, stainless steel sinks are fundamental elements of the kitchen. You'll find them in restaurant kitchens, bakeries, and in many modern, newly-built homes. Their usefulness and quality have endured for years, so you can be confident they make excellent choices for any renovation or upgrade in your kitchen. 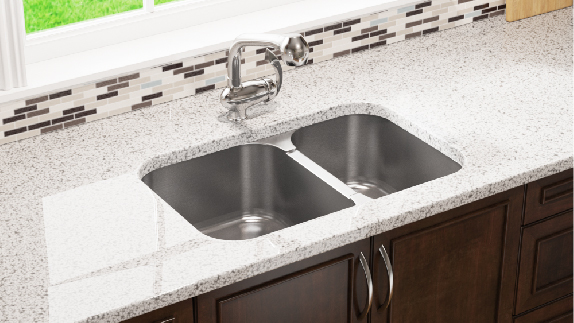 Here are four tips to consider when choosing your next stainless steel sink. 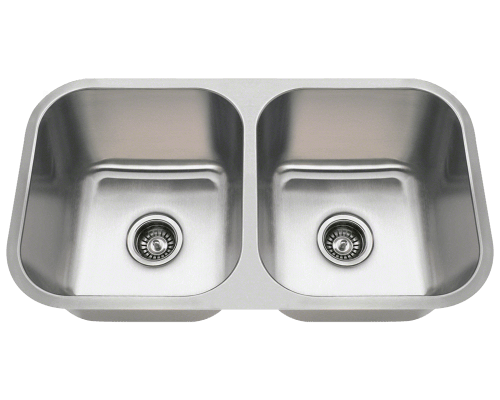 Stainless steel sinks are ranked by their composition, or in other words, the ratio of contents. Look for 300-series steel, which is about 18% chromium and 8% nickel. The nickel acts to prevent stains and corrosion. 300-series is the minimum quality you want to choose, but some models are created with higher-quality 304-grade steel to provide even more strength and durability. 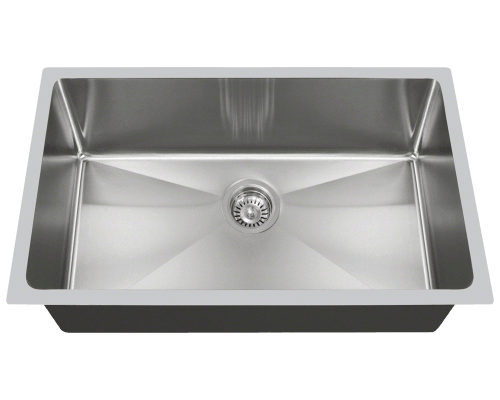 MR Direct manufactures several 304-grade models that are equivalent to Kohler stainless steel sinks. Remember that a lower gauge means a thicker the sink. 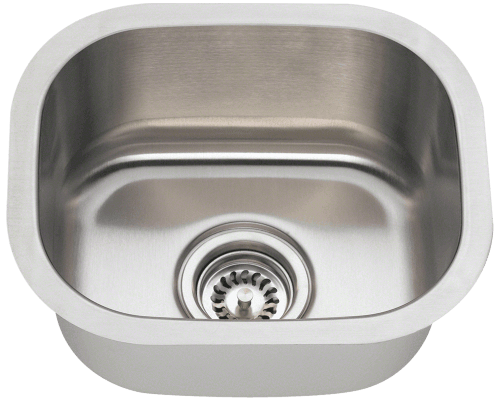 18-gauge is considered the industry standard for stainless steel sinks. 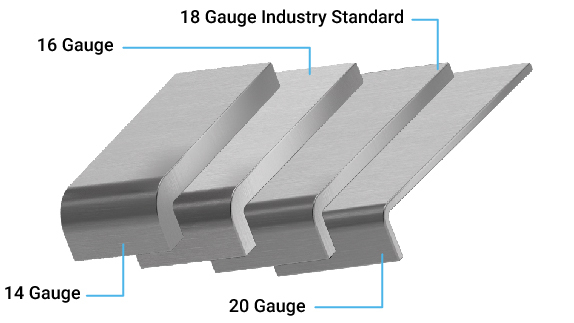 However, many manufacturers offer thicker options such as 16- or 14-gauge. 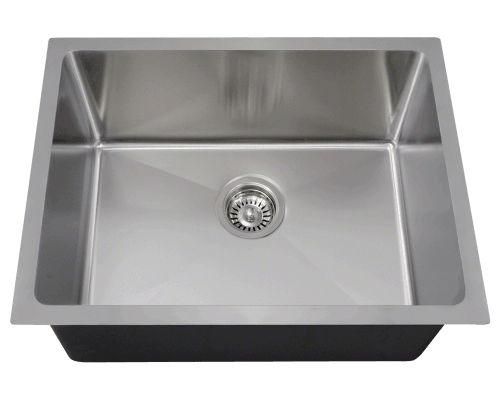 16-gauge stainless steel sinks are perfect for busy kitchens and for people who frequently wash dishes and large pots/pans. 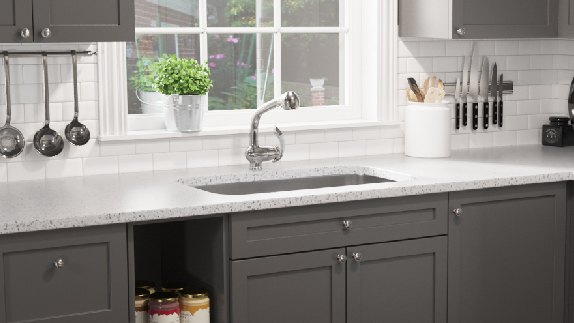 14-gauge sinks are usually found in industrial or restaurant settings, but have recently made their way to residential kitchens and laundry rooms. Their incredible thickness makes them impervious to damage. 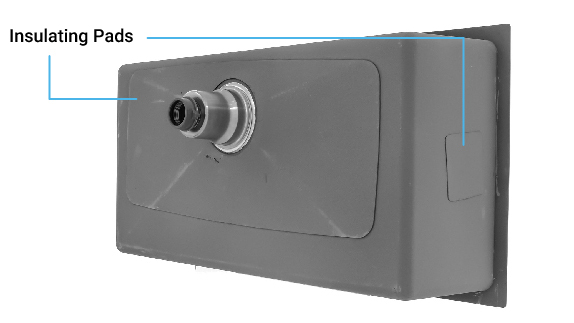 The sound of running water is muffled and sounds less "tinny"
Many manufacturers sell accessories with their sinks. These one-time investments can save you hundreds of dollars in plumbing repairs. For example, strainers (standard, basket, and over-the-sink) keep your sink unclogged and free of debris. There are also accessories that protect the luster of stainless steel sinks for years to come. 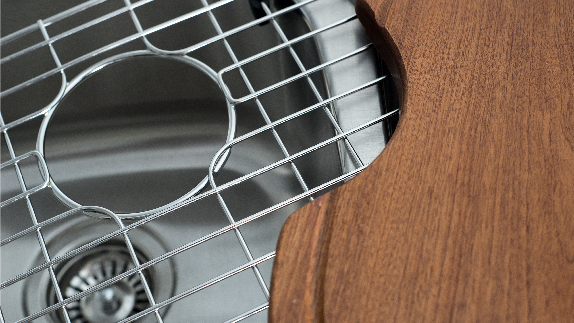 Grids add an extra layer of protection for your sink and sit on the bottom of the basin (with rubber feet). They're perfect for stacking dirty dishes in your sink (without scratches or dents). And for elevating already-washed dishes so they can drip dry.